Looking for something to do this New Year’s Eve with family and friends? How about starting a new tradition by bringing in the new year with random acts of kindness? During the Christmas season we all get so much, so on New Year’s Eve 2014, my family decided to focus on giving to others. Lily rockin the 2015 shades! My youngest daughter, Lily has been doing this already for several years with her Make Kindness Count initiative. Hunter paying for someone’s movie! Now the whole family and some of our friends get together to make it a fun event for New Year’s Eve. We call it our New Year’s Eve Picture Kindness Road Rally. Here’s what we do. We divide into several groups of five. Each group has a bag with cash, snacks, water, flashlights and glow sticks. I provide each group with cash. The groups are encouraged not only to give out the money, but also to do gestures of kindness. Each group has three hours to go out and do whatever they want with their money. The object is to take photos of what you do, so we can share the pictures at the end of the night. The photos and stories last year were awesome. Our most memorable moments of the road rally included: paying for everyone’s valet at a party, filling up tanks of gas for people while they were pumping gas, giving bouquets of flowers to random people before a movie started, playing leap frog down the Publix grocery store aisle, eating McDonald’s french fries in under a minute and running up and down the escalator at the mall. At the end of the night we meet back up at my house for dessert. Most of us were pretty wiped out from our night’s adventure. We had a blast showing all the moments each team captured with pictures and videos. We spent the next hour talking and laughing! Then we watched the ball drop in New York City and started our new year! Celebrating with desserts and watching the ball drop in New York City. It’s simple, clean all American fun with a little competition thrown in! Anyone can do it. We had all ages from kids to adults. The best part of the night was watching the faces of those who received the acts of kindness. Most of them were so surprised someone did something kind for them. Their smile was priceless and so rewarding. The rally had a impact of all of us who participated. We realized just how easy it is to affect someone’s life. By doing it in small groups, it was even more fun! While we were out we even had random people want to participate in the fun. I would love to see more people ring in the new year with random acts of kindness. 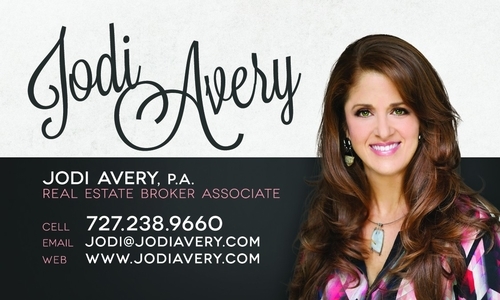 Send me your photos at Jodi@JodiAvery.com or call me at 727.238.9660 to tell me about your road rally. I would love to share your stories and photos on my Facebook page Facebook.com/JodiAverysHomeTips. While you are there LIKE my page. Here’s to a wonderful and blessed 2016!